The United Nations have released a powerful series of advertisements advocating for women’s rights around the world. 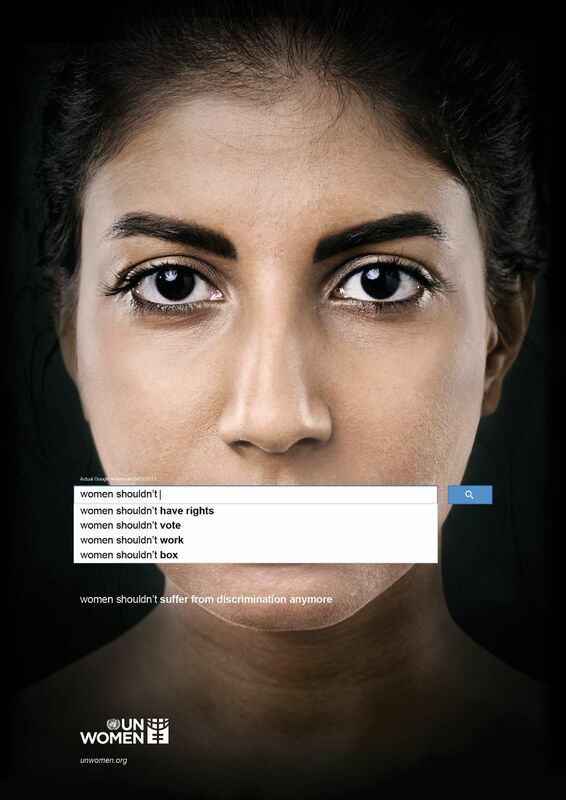 The premise is simple – renowned advertising agency Ogilvy & Mathers took four women’s portraits and covered their mouths with some of the auto-complete search terms offered by Google’s search engine. These suggested search terms are based on searches done by other users, so they represent convictions held by many who use the search engine. 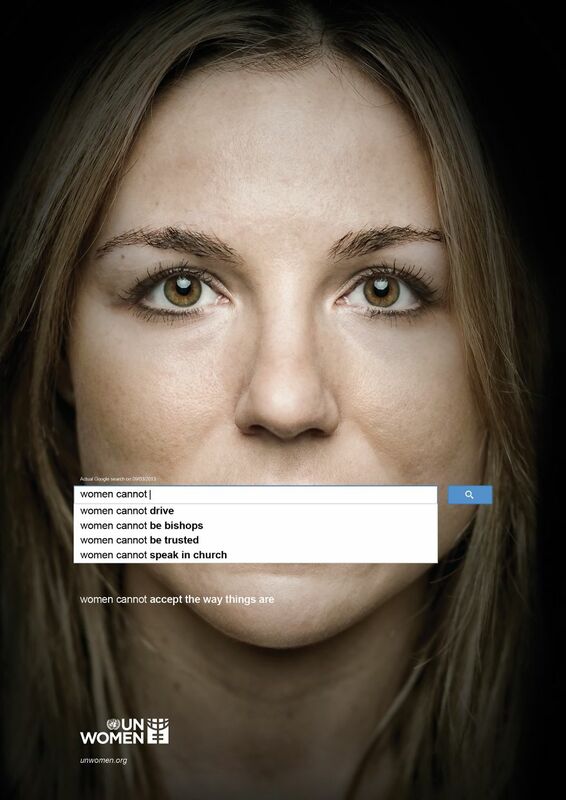 The search terms are perfect examples of many of the beliefs held in male-dominated societies that prevent women from gaining social, cultural and economic equality. 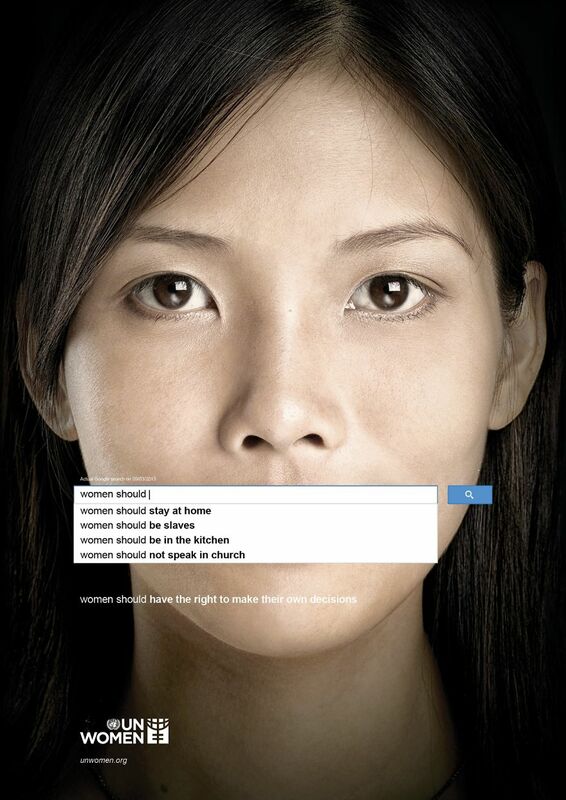 The ads were ordered by UN Women, the UN’s agency responsible for furthering women’s rights issues around the world. They attempt to address problems like political empowerment, equal opportunity, safety, health issues and others.